The beaches of the French Riviera and Cannes with their "bling-bling" are not our thing. But Grasse is very close, about 20 minutes by car from Cannes. In the "Capital of Fragrances" legendary perfumes have been created and are still being developed. Completely uninformed and - honestly - not really interested in this topic, we came here and met people who let us discover this mixture of art, craft and industry. The more we look at the subject, the more interesting it becomes and the appreciation of the individual work of the perfumers increases enormously long before a perfume is released. I'll tell you here the most important aspects in the history of Grasse perfumes, as we've been told. During the Middle Ages the leather industry was the leading trade and the tanners had their workshops all over the city. Grasse leather was well known and popular. The uric acid used for tanning at that time produced a penetrating, unpleasant odor. To put an end to this, baths with flowers from Provencal gardens such as lavender, myrtle, jasmine, rose, wild orange blossoms and mimosa were tested. This new trend spread to the royal courts and then to the entire high society. Orders came in droves and so the perfumers' businesses grew and successively drove the tanners out of the city. The rare flowers of Grasse - lavender, myrtle, rose, orange blossom, mimosa and above all jasmine - the "mythical flower" of the city - became the local treasures. From the production of natural raw materials to concentrates, the entire centuries-old know-how is concentrated here. Grasse is a city of 51,000 inhabitants, ideally located between sea and mountains in this beautiful inland of the Côte d'Azur, only 17 km from Cannes and 35 km from Nice. Regarding its main business, the French author Francis de Croisset, when talking about Grasse, said that "Grasse is the only city in the world where the word factory sounds poetic". It is no surprise that this city, an old trading centre, became the cradle of the perfume industry. 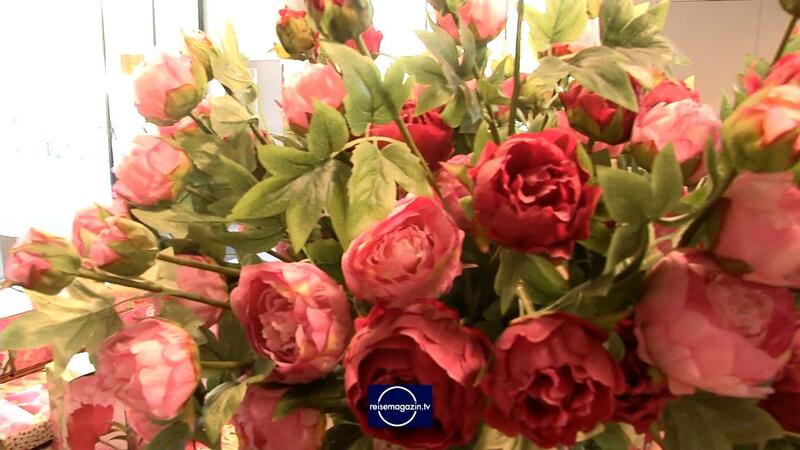 This region has always benefited from ideal conditions for the production of flowers and their products. It has a very favourable climate with mild, temperate temperatures, many hours of sunshine and short rainy periods. Then the soil is rich in alluvial land, which leads to very fertile soil and finally the character of the people who live here, who are very industrious and endowed with creative imagination. Already in the early Renaissance the town was a centre of tannery and glove making (especially due to the numerous flocks of sheep and the simultaneous availability of spring water for the treatment of the skins). In the 16th century Grasse also benefited from the fashion of the time to wear perfumed gloves, made famous by Catherine de Medicis. The city soon became so famous at the court of King Louis XIII that in 1614 the Association of Perfumed Glove Makers was officially recognised. The most important plants used to make the perfume were jasmine, rose and tuberose. As time went by, the production of perfumed oils became more lucrative than the production of gloves, which had declined in fashion, and by the 18th century an important industry had emerged, namely the production of basic fragrance essences or primary products. But it was not until the beginning of the 20th century that Grasse and its surroundings gained their international reputation. This was due to the skills and know-how of several large industrial families that had developed in the industry over time. The resulting factories enabled the production of flowers, the import of raw materials and the production of essences and fragrant raw materials, often produced by their subsidiaries at the place of production. the expansion of perfume beyond the traditional market (alcoholic perfumes, cosmetics, soaps) to include manufacturers of detergents and soaps with a wide range in the cleaning and care industry. by the development and production of food flavourings. In Grasse, there are currently some 70 perfumery companies on the market. A total performance of over 1.5 billion euros (over 2.6 billion euros global group turnover for companies based in France), of which two thirds for perfumeries and one third for food flavours. These companies employ around 5,000 people and export about 70% of their production. The numerous visitors to the region search in vain for the large flower fields. In fact, the cultivation of perfume plants is concentrated on small family properties, where the harvest is seasonal and often very quick. The rose (a special variety called "mayleaves") is harvested from 1 May to 1 June, the orange flower from late April to early June and the jasmine in July and August. The most spectacular fields to visit are those of mimosa from January to March in the region of the Massif du Tanneron. You can admire the flowers of broom in June and lavender in July. The most frequently used plants are jasmine, rose, orange tree flowers and leaves, tuberose, orange flower, jonquil, violet, mimosa, lavandin and lavender. This is the oldest technique and today almost forgotten and abandoned. This avoids any change and makes it possible to preserve the scent of the most sensitive flowers such as jasmine, tuberose or mimosa. A mixture of animal fats is spread on a long glass table. The petals of the flowers are scattered over this mixture and the process is repeated every two to three days. At the end of the season, the fatty substances are dissolved to remove the vegetation waste, and then the aroma is reduced to its concrete form of a pomade by stirring in ethyl alcohol. By a method like this, the essential oils are obtained from plants in which they are contained in their natural vegetative state, such as lavender, patchouli, vetyver and geranium. This method cannot extract the aromas of the delicate flowers and their petals. Distillation takes place in the Alemikum. In the steam generator, the resulting steam carries the odour particles of the plant. This steamy mixture is carried from the gooseneck into the cooling area or into the serpentine, where the steam is reduced to its liquid state, and in the Florentine vase the natural oils are separated from the water by the simple difference in density. For example, to obtain one kilogram of essence, 330 kilograms of Patchouli leaves or 150 kilograms of lavender must be distilled. The base oils of hesperides or citrus fruits (lemon, orange, bergamot or mandarin) can be obtained by the use of heat and suitable chemical agents. Today these animal substances are synthetically simulated. This method works because of the low boiling point of certain solvents (ether, benzene, alcohol, acetone, etc. ), which makes it possible to obtain the base product from fresh vegetation and resins from dry vegetation. By separating residual waxes, the basic product can then be reduced to its aroma. This method needs 600 kg of roses or jasmine to obtain 1 kg of pure essence. The fragrance, which is created by the fine mixture of odorous substances, is the culmination of the perfumer's creative work. Who is this mysterious person? What is his or her job? How does she or he work? The perfumer or "nose" is a fragrance composer. In front of his tool, a table called "organ", there are all, at least 2,000 basic products, of which 1,000 are frequently used. How is he able to recognize all of them, then remember their individual essences and finally use them according to his ideas? Memory: first to learn each scent, to preserve it, to fix its characteristics in his sensual memory and to be able to relate this scent to other already identified scents. Finally, the ability to recognize immediately by an odor, the products and the odor chords that he has stored in his memory. So it is the memory that is used over and over again that is of great importance. These natural gifts must be maintained by strong self-discipline: Protecting the sense of smell from external negative influences (e.g. tobacco); increasing sensitivity through olfactory exercises, memory building and continuous search for the highest concentration. To these natural gifts one must also add a certain form of character with desire and strength to surpass the obstacles that stand in the way of ultimate successful creativity: the love of effort: What has been done must be constantly checked, for the fragrant world is transient; the possession of a certain sensibility resulting from a fertile imagination and a sense of beauty: Perfumes are forms, structures. The imagination conceives them and creates new forms that should be beautiful and appealing. In order to be appreciated, perfumes must be the composer's means of expression, whose particular quality will be his sense of chords. How does such a composer develop his idea of a perfume? This often happens after the smell of a new product has been smelled, whether it is a natural or a new original synthetic essence. His mind develops a series of ideas through association and translates these ideas into the sensual structural form and from there into a formula, because the art of perfume is also to find the right proportions. It also happens that the perfumer is not always right. Sometimes his ideas do not lead to success and the design has to start all over again. The recipes for a particular perfume consist of many different ingredients that are measured according to the strength and purpose of the creator. It can take several years before the specifically desired fragrance finally comes to fruition. It is worth mentioning that perfume manufacturers today have access to the latest technological analysis tools, all of which are used by the companies in Grasse. For example, high-performance liquid chromatography, mass spectrometry and nuclear magnetic resonators are tools that enable perfumers to expand and deepen their knowledge of fragrances and carry out strict quality control of all raw materials. This equipment also enables the manufacturer to guarantee its customers on the market that the products are completely safe and harmless, particularly in view of the regulations issued by I.F.R.A. (International Fragrance Association) and I.O.F.I. (International Organization of the Flavor Industry). Source: I got all these findings during the visits to the houses of the great perfumers in Grasse and the study of the corresponding websites, in particular the house of Galimard.